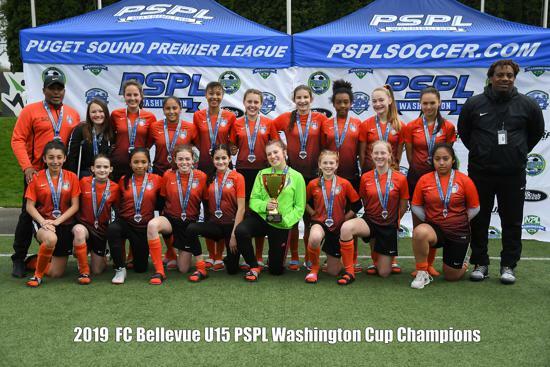 2019 U15 Girls PSPL WASHINGTON CUP CHAMPS!!!!! Congratulations to our U15 Girls on becoming State Cup Champs this weekend! 3 shutouts, top of the division, and a trophy - way to finish ladies! FC Bellevue Premier provides soccer programs on the Eastside of Seattle in Bellevue, Redmond, Kirkland, Mercer Island and more. FC Bellevue Premier has been formed with a goal of creating excellent soccer experiences and a stable environment for all players. 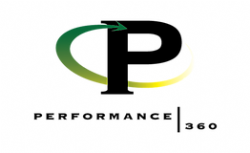 FC Bellevue Premier’s Professional and USSF Licensed Coaching staff is a full-time body of professional soccer coaches who are selected for their ability to make the game enjoyable, challenging and educational for all players involved. 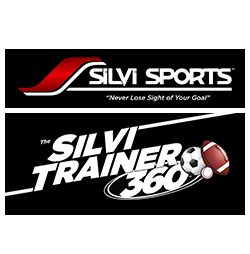 They follow a curriculum devised by the technical department that is age-appropriate and designed to allow players to develop at their own rate. The FC Bellevue Premier Soccer Program provides a balanced approach to the training and competitive calendars for each level of the premier soccer program. The addition of our technical advisors and pro coaches demonstrate FC Bellevue Premier’s commitment to providing the youth of the Greater Bellevue Area with an unmatched soccer experience. 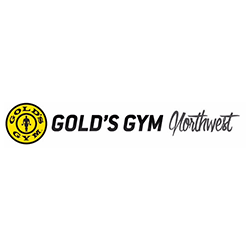 This is an exciting time to be a member or the FC Bellevue Premier. Want to know more about Darrel’s soccer experience, education, and philosophies? Check out the inspiring conversation between Darrel and Daniel Workman in their February 2019 podcast, Live at the Bar of the U.S. AGM with Darrel Marcelle, at the U.S. Soccer Annual General Meeting. Each year in February, U.S. Soccer invites a select few hundred to attend the Annual General Meeting to discuss recent and upcoming issues, policies, and successes with U.S. soccer. FCBellevue.org has the latest news, information, schedules, results and more about FC Bellevue and our Bellevue-based premier soccer teams. NEW TO FC Bellevue? We welcome new players ages 7 to 18, and invite you to find out more about the fastest growing premier club in the Bellevue area. If you have questions, please feel welcome to contact the club at info@fcbellevue.org. Thank you to all our Sponsors for your generous support! ©2019 F.C. Bellevue / SportsEngine. All Rights Reserved.